I want to knock on doors and make money so that i can pay my bills off and make bank baby ! my oh my if i only got a dime every time i herd this. Heck even a Nickel i would be one wealthy man right now. The truth of the industry is not many people survive in the door knocking world because they have no clue as to what they want to accomplish from door knocking. 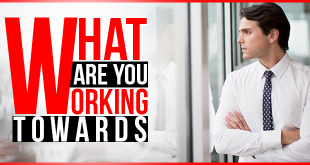 I know a ton of sales reps that have a plan in mind, but i also know others that have no direction and are in the moment just looking to pay bills. For those of you who don’t know how to ice skate. Did you want to try it out and hope that one day you would just “get it” but have no desire to play hockey or figure skate ? You see this is very similar to knocking on doors. The potential is endless for what you can create when you learn how to master the art of door knocking. If you have debt, your primary goal should be to “knock” (no pun intended) that off so that you can focus on growth. Growing your own business is hard. Always know that as time progresses more and more competition comes into the field, however all you need to do in order to stay ahead of your competition is be different. What is unique about your approach. You see what this does is differentiate you from your competition. Clients will like your approach better than theirs while other clients will like theirs more than yours. This approach in business also goes to serve as a reminder for door to door sales. Always remember i teach to be different than the last guy/gal that showed up to their door because this is what will ultimately get you further in the sale. 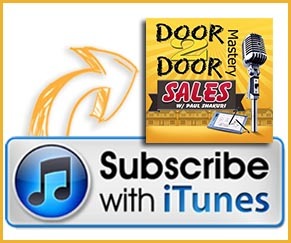 When you learn to master door to door sales, you need to stick to your regimen and make as much money as you can so that it can get you to whatever it is you desire next in life. Many people start door to door sales to break out of their shyness. If you are shy and want to be more of an extrovert then door to door can eventually help with that however you need to work hard at it and not give up when things get tough. As humans we are programmed to accept routine. From birth we tend to adapt to our surrounding. Ask yourself this are you more like your mom or dad ? 9 times out of 10 this can be answered by a little of both or more like either or. The more you surround yourself around door knocking the better your going to get so long as you put the time in and never give up. Emotions, emotions, emotions ! that is what door selling is all about. Learn to control that and it will make you a stronger business person. The better you get, the more the opportunity you have to work at large firms later in life if this is something you desire. To date i have been offered many opportunities to work for large corporations because “Word Passes” especially in this industry. Knocking on doors and mastering it, opens opportunity to open your own business one day. Paying off debt can relieve a ton of pressure and hence help advance in life. Family Gets Fed, and when the spouse is happy so are the kids and you. Large corporation opportunity. Help out and companies can eventually come to you. All this is from personal experience. keep in mind that the way i got this is by actually proving myself to the industry. Leardership is all about gaining the like and trust of your fellow peers. Guide your team to victory but start off by mastering it yourself. 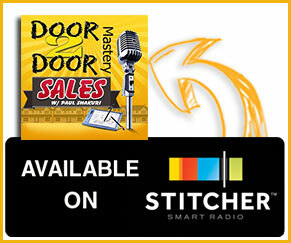 Stuck learning how to master door to door sales ? I can get you there quicker because i already painted the path. Click below to access My On Screen Video Members area. Previous How Much Money Do Door To Door Sales People Make ?